I was motivated with one testimony given during the training workshop as one explained how land is a problem in our country. Giving an example of our fore fathers who used to have a very large area to cultivate and the land was then normally shared among male children. The land was enough because they were producing enough to feed their families and sell the surplus. Now with the problem of overpopulation, the land is no longer enough for everyone to cultivate. One might have one hectare of land which upon sharing with the children, everyone ends up having an acre or less each. Now how can we use the most of this little land we have? In permaculture, you can have a small piece of land but harvest enough to feed the whole family and sell the surplus. Plan for the smallest possible land area and use energy efficient intensive systems rather than have a large area with energy consuming extensive systems. Diversity also provides stability and helps us to be ready for change whether environmental or social. Participants recommended this type of farming as it enables one to harvest different types of crops all year round. 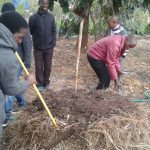 Recently, Kusamala hosted a 5 days introduction to permaculture training workshop to 17 people. 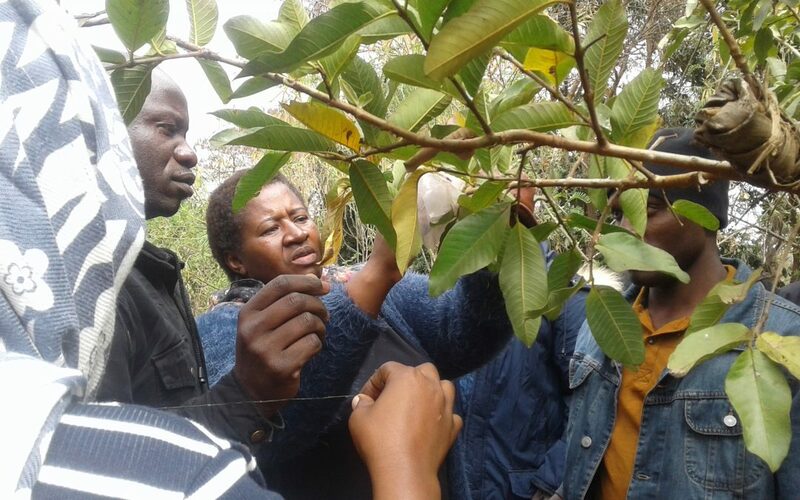 The training targeted the newly recruited staff who, government extension workers and Welthungerhilfe staff who are involved in implementation of the Energy Forests for Malawi project. 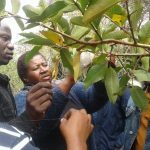 The Energy Forests for Malawi project is primarily aiming at rehabilitating degraded forest areas while also improving the nutritional status of participating households. 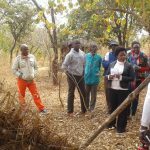 Another lead farmer training was held in Ntcheu under Mwana Alirenji Organic Farming project. 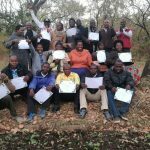 These 50 lead farmers were trained in water management, soil management, integrated pest management and hands on practicals on: compost making, compost tea, constructing an A-frame and how to use it, constructing check dams and making swales. 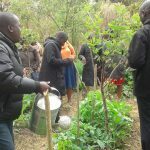 Kusamala demonstrates the viability of permaculture as a local and national strategy on how communities can better use local and minimal resources to meet human needs while improving quality of life both for people and the environment.